Nothing gets an après-ski session started like a massage. In Whistler-Blackcomb, British Columbia’s most popular ski resort, you will enjoy the opportunity to de-stress your muscles that are aching from exercise or general exhaustion at one of the area’s finest spas. A Tension Target Massage from Vida Spa at the Fairmont Chateau Whistler is affordable and practical for the active traveller. For just $65, you can indulge in a 30-minute treatment focused on busting your stress. Vida, which also has three locations in Vancouver, features Ayurveda treatments based on a form of medicine practiced in ancient India. Your body will thank you after this treat. The World Ski and Snowboard Festival takes place annually at Whistler-Blackcomb and last year’s edition thrilled Vacay.ca Western Sports Editor Miguel Strother. Give his article a read as you prepare for this year’s fest, which runs from April 12-21, 2013. 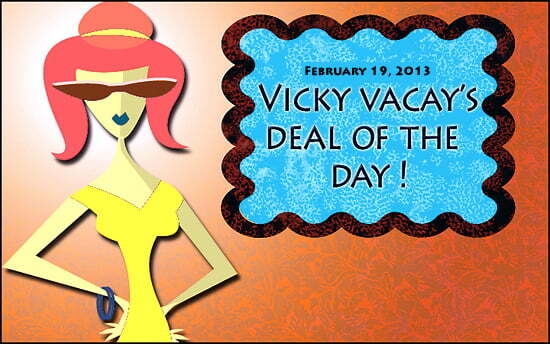 To book this spa deal from Vida: Call 1-800-401-4018 (from Canada) or 1-888-865-2630 (from the USA).